APC Law is one of the most recommended personal injury law firms in Ontario. Our lawyers have recovered tens of millions of dollars in compensation for injury victims and their families from all over the province. If you or a loved one has been injured in Ontario, you are entitled to compensation. 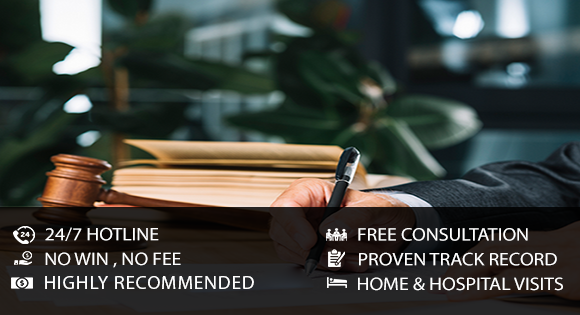 Contact APC Law today for a free, no obligation consultation, and rest assured knowing that your rights are protected by the best legal minds in Ontario. Our expert legal team is comprised of trial lawyers, paralegals, and law clerks that specialize in personal injury law. APC Law has the expertise, experience, and resources to get the maximum compensation through a settlement or trial, if necessary. Due to the trial experience of our personal injury lawyers, fighting for the rights of injury victims inside and outside of the courtroom is their expertise. Our experts are never intimidated by an opposing legal team and will never back down from a legal battle. With over 100 years of combined legal experience, our lawyers have successfully conducted trials in Ontario, recovering the compensation injury victims rightfully deserve. The support staff that stands behind our lawyers can help you in over 30 different languages and are dedicated to ensuring that our clients get the best possible results. Our "24-hour rule" dictates that every call, email, fax, or other communication from a client is returned within one business day. Some of the lawyers of APC Law were previously employed by insurance company legal teams and, thus, possess an intimate knowledge of insurance company tactics and strategies, which gives our clients the edge over these multinational corporations. Attending educational seminars, workshops, and other professional development functions, our lawyers stay on the leading edge of legislation, and in turn, are able to procure substantial amounts of compensation for our clients. Personal injury law is our specialty, our focus, and our passion. Our experience, expertise, and resources are 100% focused on protecting the rights of injury victims and providing much needed relief to our clients and their families during some of the hardest times of their lives.